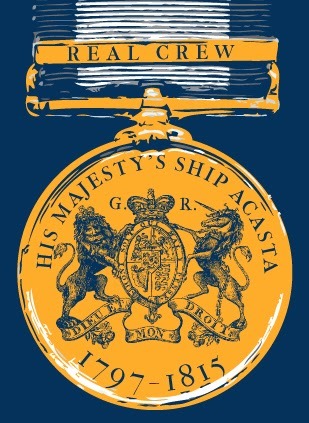 Andrew Sims entered the Navy, 20 Aug. 1806, as Midshipman, on board the Edgar 74, Capt. Geo. Jackson, bearing the flag of Lord Keith in the Downs; and, from the following Oct. until Oct. 1809, was employed in the Acasta 40, Capt. Philip Beaver, on the West India station ; where he assisted, in Feb. of the latter year, at the reduction of Martinique. After serving for eight months in the Channel in the Scipion 74, flag-ship of Hon. Robt. Stopford, he again, in June, 1810, joined Capt. Beaver on board the Nisus 38. In that frigate he co-operated in the reduction of the Isle of France and of Java. He continued in her under Capt. Chas. Marsh Schomberg until May, 1814; and, on 15 Feb. 1815, he was advanced to the rank of Lieutenant. Since 31 March, 1828, he has been in charge of a station in the Coast Guard. Source: A NAVAL BIOGRAPHICAL DICTIONARY: COMPRISING THE LIFE AND SERVICES OF EVERY LIVING OFFICER IN HER MAJESTY'S NAVY, FROM THE RANK OF ADMIRAL OF THE FLEET TO THAT OF LIEUTENANT, INCLUSIVE. Compiled from Authentic and Family Documents. BY WILLIAM E. O'BYRNE, ESQ. LONDON: JOHN MURRAY, ALBEMARLE STREET, PUBLISHER TO THE ADMIRALTY. 1849. A Report from Adm. Sir J. B. Warren, R.N. What Shall We Have Today?